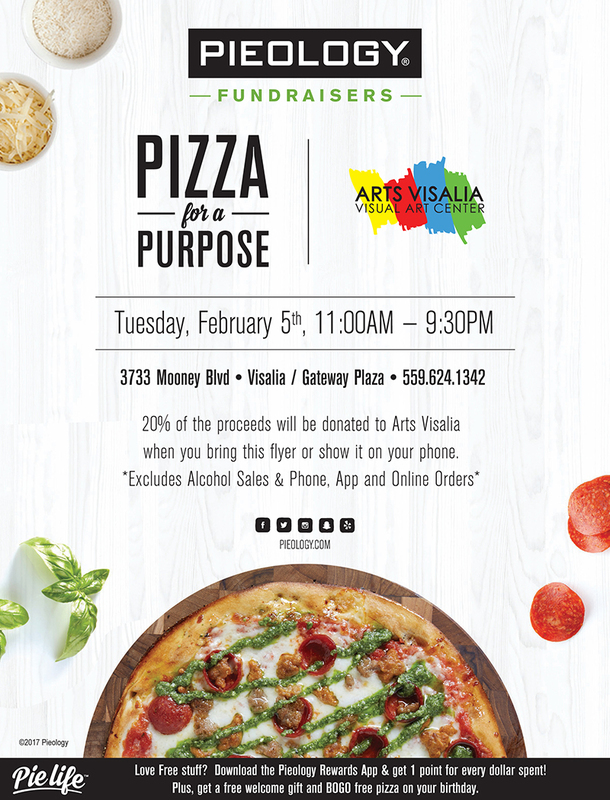 Pieology and Arts Visalia are partnering to provide Pizza for a Purpose. When you visit Pieology at Gateway Plaza, 3733 Mooney Blvd. in Visalia, with the official Pieology fundraiser flyer on Tuesday, February 5th from 11:00 a.m. to 9:30 p.m. 20% of proceeds will be donated to Arts Visalia. Save the date on your calendar and don’t forget to support Arts Visalia!